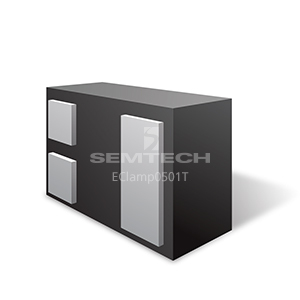 The EClamp® 0501T TVS diode is designed to protect sensitive electronics from damage or latch-up due to ESD. This state-of-the-art device utilizes solid-state silicon-avalanche technology for superior clamping performance and DC electrical characteristics. It has been optimized for protection of digital lines in cellular phones and other portable electronics.